I attended a mindfulness workshop at the weekend and I had such a good time I just wanted to share some of my experience with you. It took place in the beautiful Buddhapapdipa Temple in Wimbledon. The grounds were beautiful surrounded by nature and a lovely lake. What better place to spend the day. a mental state achieved by focusing one’s awareness on the present moment, while calmly acknowledging and accepting one’s feelings, thoughts, and bodily sensations. At the workshop we spoke about mindfulness, spirituality, dharma, Buddhism, meditation, all connected to mindfulness. I meditated whilst walking, standing still, lying down and while doing one of my favourite things, hugging a tree. Whilst hugging the tree I felt the exchange of energy quite profoundly, it was a great sensation; feeling at one with nature. As I walked and meditated I slowed my pace right down and noticed things I wouldn’t normally. What really excited me was the way the sun shone on the lake, it was a beautiful sight. I wanted to get my phone out and share it with everyone; however I refrained from doing so because it was during the time of silent meditation. Yes, we had 1 hour 15 minutes to be completely silent and I felt that taking the phone out would interrupt this. In fact the whole time I was there I did not take my phone out. Now that was a freeing experience, to not be disturbed or distracted by technology for 5 whole hours. I am contemplating going on a 3 or 6 day silent retreat. This will be very challenging but I feel it would help me in many ways. Not just with my work of helping you gain inner peace but helping me grow and develop my spiritual gifts. You see, meditation is very powerful and for me, it allows me to travel on the astral plane and receive great messages and affording me even more inner peace. I actually incorporate Mindfulness into my therapy with clients as I notice that many people are so detached from their feelings and will do all sorts of things to avoid them. However, as emotional beings we will have feelings and emotions and learning to embrace, accept and deal with them is so important for our mental health, well-being and spiritual awakening. 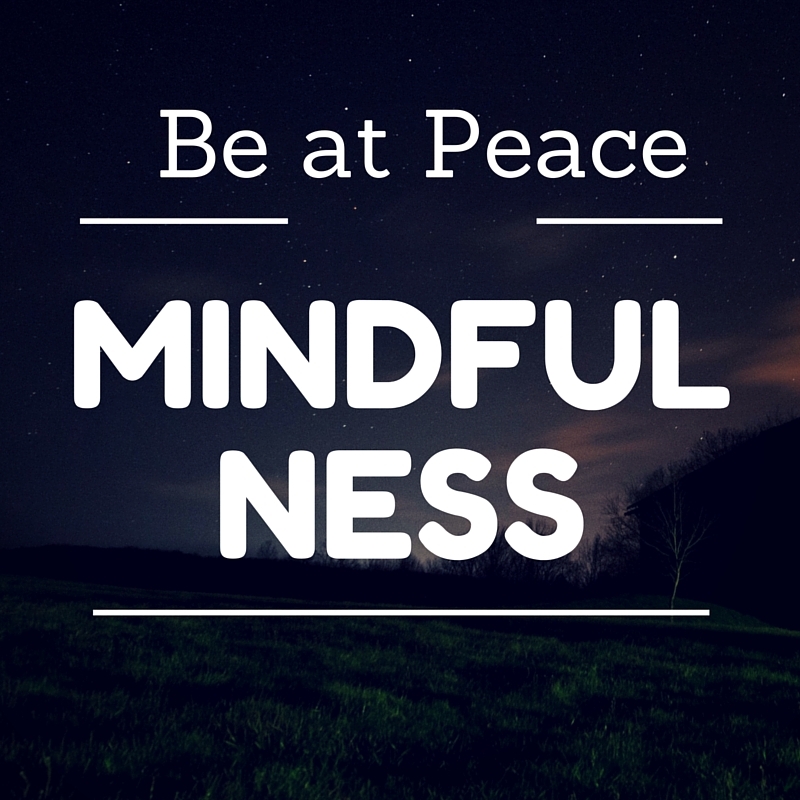 So how can mindfulness help you? Well it encourages you to slow down and be more aware. Being aware of how you feel on an emotional and physical level, your surroundings, your thoughts, the messages you say to yourself are all important factors to be aware of. To be aware of how you eat too can be very beneficial. Do you eat quickly not giving your brain enough time to register that you have eaten? Try taking the time to eat a piece of fruit, be aware of its texture, its taste, its juiciness and how it feels on your tongue, how it feels when you swallow it and how your stomach welcomes it, or not, as the case may be. If you suffer from anxiety, mindfulness will definitely help alleviate that. When you get an attack, focus on what is happening in your body, how does your stomach feel? Do your palms sweat? What thoughts are you thinking, and are the thoughts rushing around like a washing machine? Once you focus in you can then start to slow yourself down by breathing slowly and deeply and get into a meditative state. Analyse the effects as you start to slow down and see how much calmer you feel. Yvonne J Douglas is an award winning coach who combines her unique blend of expert therapies to facilitate healing and helping people gain freedom from their fears, traumas and issues.